I recently had the opportunity to meet with one of southern Ontario’s most accomplished anglers, Dan Risorto. Always eager to talk fishing, Dan welcomed me to his home and shared some great insight concerning both competitive and recreational fishing. Dan’s first fishing memory takes him back to age 5. He was fishing with his father on Balsam Lake (in Ontario’s Kawartha Region) where his family has always had a cottage. As Dan puts it, they were “really beatin’ up on the walleye”, and had caught over twenty fish. Young Dan set the hook on huge walleye that surpassed 30”. After he got the fish to the boat, his dad hooked it on the stringer. When they went to leave however, the clasp on the stringer was open and the trophy fish was gone. Almost thirty years later, that fish still haunts the now successful fishing pro. include winning the 2006 Fall Challenge, the Celebrity Showdown for Childhood Cancer, the 2011 Celebrity Cup, and the 2012 Canada/U.S. Walleye Tournament amongst many others. L2F: What are the keys to your consistent tournament success? Dan Risorto: First off, forget about catching a limit and chase big bites. Fish to win. That was huge, and you need to be confident. I fish shallow water cover mostly, but I’ve learned to apply a variety of techniques within that comfort zone. You have to be confident in the way you fish. It’s more important than anything, including practice. I cover water until I find a definite pattern, then circle through the best areas. L2F: So what do you do when your game plan completely falls apart, and your strengths just aren’t producing at a tournament? Dan Risorto: I just completely switch. I move deeper relative to what I’ve been fishing, downsize maybe, and fish slow. L2F: So do you prefer power fishing over finesse? Dan Risorto: Oh ya. I love pitching a jig to docks, but I have gone down to a crappie jig to catch a fish I knew was there. L2F: What’s your favorite Rapala hardbait? 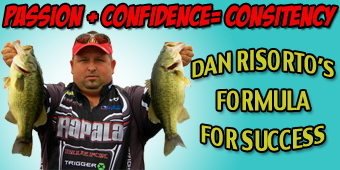 Dan Risorto: The Rapala X-rap, easily. L2F: And your favorite Trigger X softbait? Dan Risorto: The Trigger X 4” Zander Minnow. L2F: Your favorite body of water to fish? Dan Risorto: The Kawarthas, Haliburton, Bancroft, and Simcoe. L2F: What are your goals as far as fishing is concerned? Dan Risorto: I would love to fish one of the major US tours, but right now I just have too many responsibilities at home. I’ll continue to fish tournaments here, work hard for my sponsors, and do whatever I can to help this sport grow. L2F: What do you think the Ontario tournament scene needs? Dan Risorto: The tournament scene needs a few things; bigger sponsors, more support from the hosting communities, and more programs to help grow the sport. L2F: Where is the best place for aspiring anglers to start tournament fishing? Dan Risorto: Clubs absolutely. There is so much information available in fishing clubs, and it’s an opportunity that I never had. 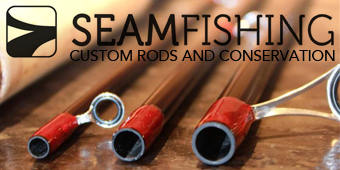 The biggest thing is for current anglers to take new people out fishing. I’m starting a local bass club because of my passion for the sport. I want to inspire others. L2F: How can people get involved with your club? Dan Risorto: We meet the first Thursday of every month at Iroquois Park in Whitby. 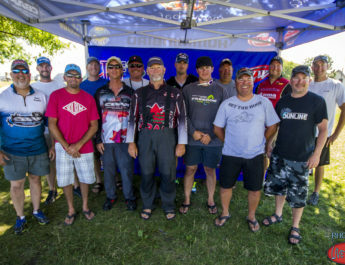 L2F: What’s the biggest mistake you see new tournament anglers make? If you could offer them one piece of advice what would it be? 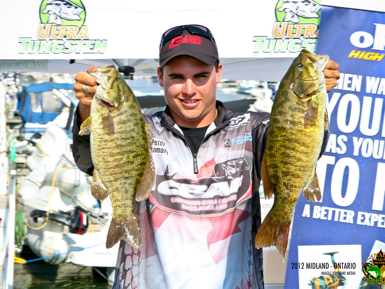 Dan Risorto: The number one thing is to forget about catching a limit. I’d rather weigh in two fish for 7lbs, than five fish for 7lbs. Keep your options open, and stay current.